B: – Hey Sampa, yesterday a big animal was in Robin’s room. We should open the window, and maybe the animal can go away, because I don’t want to touch it!!! B: – No, no kangaroo, hahahaha. How can a kangaroo jump throw the window? S: – Yes, that is a kangaroo. The animal which jumps like this (she started to jump) is a kangaroo. B: – Hahahahaha, noooooo, come, I will show you!!!! B: – WTF? The door is open, why is it open????? S: – I opened to clean the room! B: – Nooooo, now the animal can be somewhere else in the house!!!! Close it, close it again!!!! S: – Now you scared me!!!! Was is a rat? B: – Nooooooo, I will show you on Google (I wrote the word “saltamontes” in Google). Is this!!!! S: – Aaaaaah, that is a “Heuschrecken”!!! der Heuschrecken = Grasshopper (english) or saltamontes (spanish). This entry was posted in Mein Deutschkurs on 27. July 2012 by Beatriz. This entry was posted in Mein Deutschkurs on 25. July 2012 by Beatriz. This entry was posted in Mein Deutschkurs on 22. July 2012 by Nuria. 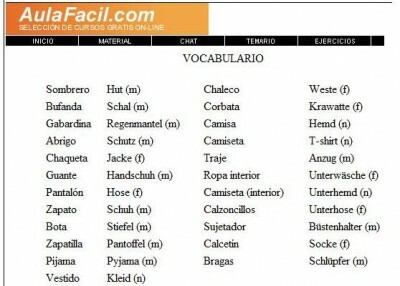 On this blog I will talk about a web page to learn German in Spanish. And because it is more useful for a Spanish speakers, I will write the blog in Spanish. Este blog está dedicado a las personas que quieran seguir un curso de alemán utilizando el espaÃ±ol como legua conductora de las clases. En https://www.aulafacil.com encontraréis varios cursos clasificados por categorÃ­as: lenguas, materias escolares, aficiones (fotografÃ­a, ajedrez, guitarra, piano, jardinerÃ­a, maquetas), arte y humanidades, autoayoda, ciencias, cocina, informáticaâ€¦ y muchos mas. This entry was posted in Mein Deutschkurs on 21. July 2012 by Nuria. 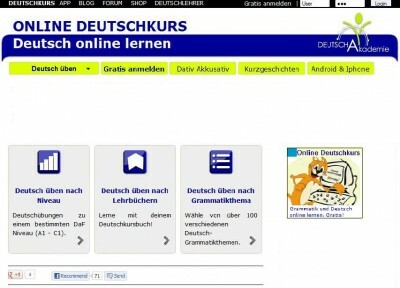 Another option to practice your German skills is the Online Deutschkurs at www.deutschakademie.de/online-deutschkurs. Here you can choose more specificly what do you want to work on it. 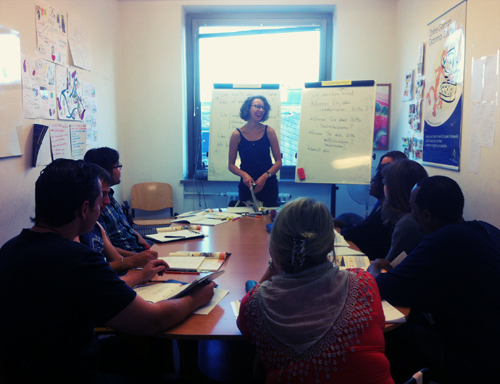 –	Do you want to practice according to the levels of the Common European Framework of Reference for Languages? –	Do you want to do exercises from the German course books? 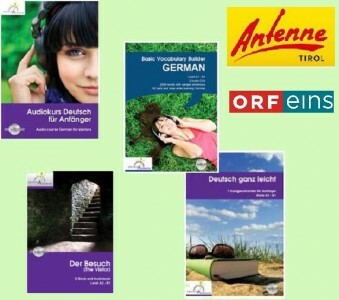 There is a list of 70 German course books. –	Do you prefer to work on specific grammar topic? The exercises are multiple choice. You can see if your answer was correct or not and which is the correct answer. At the end of a pack of exercises you can see again all the questions, one after each other with your answer and the correct answer. This course is also available for Android Smartphones or Tablets. The App is for free, yo can downtload it and do an exercise in the Ubahn, waiting for the S-Bahn or before the Opera play starts! This entry was posted in Mein Deutschkurs on 19. July 2012 by Nuria. 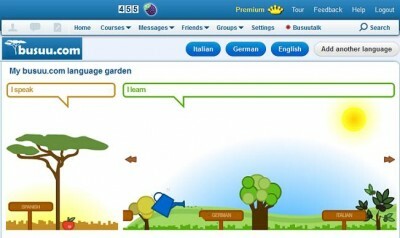 On the next blogs I will show you some of the web pages and sources that I use to learn languages. Some time ago I discovered the web page www.busuu.com. Over there you can learn so many languages, all at the same time or one by one, this is up to you. The main options are for free, but if you want the transcrips of some exercises or some grammar tipps, then you have to get a Premium account and pay for those services. The course in general is so much flexible in sense of effort and amount of time you spend. Each level is divided in units. Each unit consist in few chapters: Vocabulary, Dialogue comprehension, Writing, busuu talk and Review. At the end of 2 or 3 units there is a test. The interesting point of this language course is that the own users are the teachers for the writing exercises and to keep a small conversaton about some topic. When you open an account at Busuu, you become a “teacherâ€ for your mother tongue and a “studentâ€ for the languages you choose. In my case, as you can see on the picture, I speak Spanish and I learn English, German and Italian. This entry was posted in Mein Deutschkurs on 18. July 2012 by Nuria. I will start my first post in english, therefore most of you will understand me better =) By the way, I will write also some posts in spanish, some of them in english, and so on. 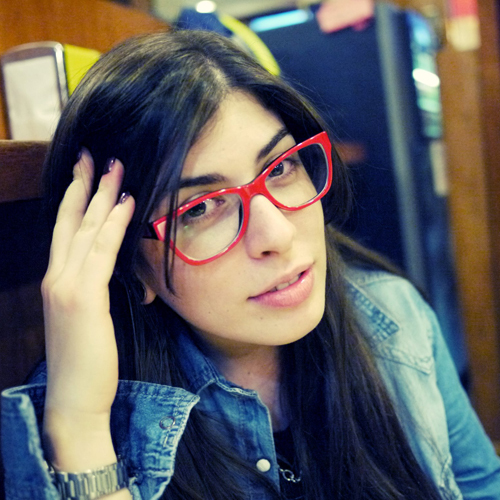 My name is Beatriz, I am spanish, from Madrid, 26 years old, recently graduated in UK. I decided to come to Vienna due to the job opportunities, as most of you may know, Spain is not in the best conditions right now to look for a job. My boyfriend is from Vienna as well, that’s why I chose this place to start my new life! Apart from that, the city is absolutely marvelous and reminds me to Madrid a lot! This entry was posted in Mein Deutschkurs and tagged Beatriz, graduated, job, madrid, presentation, spain, Vienna on 18. July 2012 by Beatriz. 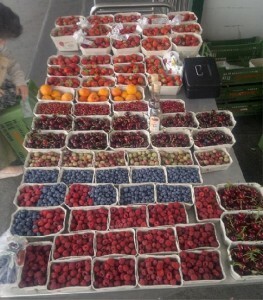 Auf dem Billd es gibt Erdbeeren, Marillen, Vogelbeere, Kirschen, Stachelbeere, Heidelbeeren, Himbeereâ€¦ mmmm Sehr gut! Das is toll! Hast du die kleine Geschäfte auf der Strasse gesehen? Es gibt acht Geschäfte in Wien neben manchen Haltestellen. Dort kann man Früchte, Obst und Brände (Spirituosen Getränke) kaufen. Ich habe verschiedene Obst probiert und jene sind sehr gut. Du kannst auch Marmelade, Könfiture oder Kompott machen. Mit den richtigen Rezepten holst du die sommerfrischen Vitamine für lange Wintertage ins Glas! This entry was posted in Mein Deutschkurs on 17. July 2012 by Nuria. 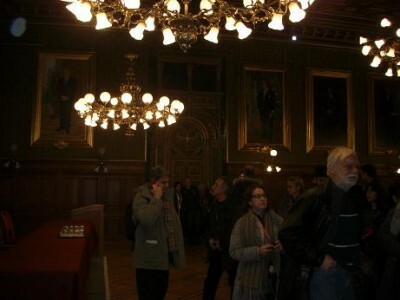 On this blog the Rathaus will take part again. But this time from a ludic point of view. At the Rathausplatz there is the 22nd Summer Film festival from 30 June to 2 September. The sessions are at the evening or at night. Every thing is well organised: big screen, chairs and an amphitheater, toilets (quite important when the session is quite long :P) and food stalls with international selection of delicious foods and drinks. The progamm includes classical music concerts and, for the first time, also some top pop music acts each week. As a special sessions there is this yearâ€™s New Yearâ€™s concert of the Vienna Philharmonic and Opera productions such as “Carmen” and “La BohÃ¨me”. Hei, this is not the only one Open air cinema during sammer!! Take a look at the second link! This entry was posted in Mein Deutschkurs on 13. July 2012 by Nuria. Viennaâ€™s City Hall (Das Rathaus) is so beautiful. It was built between 1872 and 1883 and itâ€™s dissicult to classify the buildinâ€™s architecture as a strictly neo-Gothic. There are also elements with Barroque and Renaissance influence. As Vienna is both a city and a federal province, this building include the offices of the Mayor and the Council Chamber. In front of the City Hall there is the Rathauspark full of statues, some fountains and benches where you can enjoy a variety of ancient trees. Did you visit the City Hall? Itâ€™s possible to visit it for free, did you know that? At the City informantion Bureau (Vienna City Hall, entranc: Friedrich-Schmidt-Platz 1; U2 Rathaus stop) each Monday, Wednesday and Fridays (except holidays) at 1 p.m. starts the guieded tours of the City Hall. Just to let you know, there are no guided tours on City Council or Provincial Parliment meeting days. I recommend you to go there a bit earlier and take an audioguide. You must leave an identity card during the visit and at the end, when you return the audioguide you recieve your ID card back. Hallo Leute! Heute bin ich hungrig. Mann weiÎ², dass das Frühstück ist das wischtigste Essen. Ich habe das beste Frühstük in Wien gefunden. Wo kanst du das beste Frühstük essen? Es gibt zwei Orte: Cafe Merkur (Lammgasse 1, A-1080 Wien) und Tunnelâ€“ Vienna (Florianigasse 39, A-1080 Wien). Von Montag bis von bis 12 Uhr, am Samstag und am Sonntag von 10 bis 17 Uhr. Dort findest du die Speisekarte mit einigen spezielen Frühstücken, zum Beispiel italienisches Frühstück, spanisches Omelett garniert, englisches Frühstück, griechisches Frühstück und arabisches Frühstück. Ein Frühstück kostet 3,80 Euro. Ich glaube, dass der Preis ist perfekt! 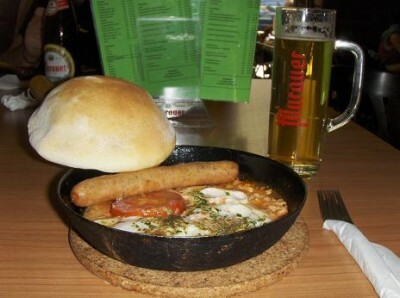 Ich habe ein englisches Frühstück und ein kleines Bier dazu gegessen. This entry was posted in Mein Deutschkurs on 10. July 2012 by Nuria.